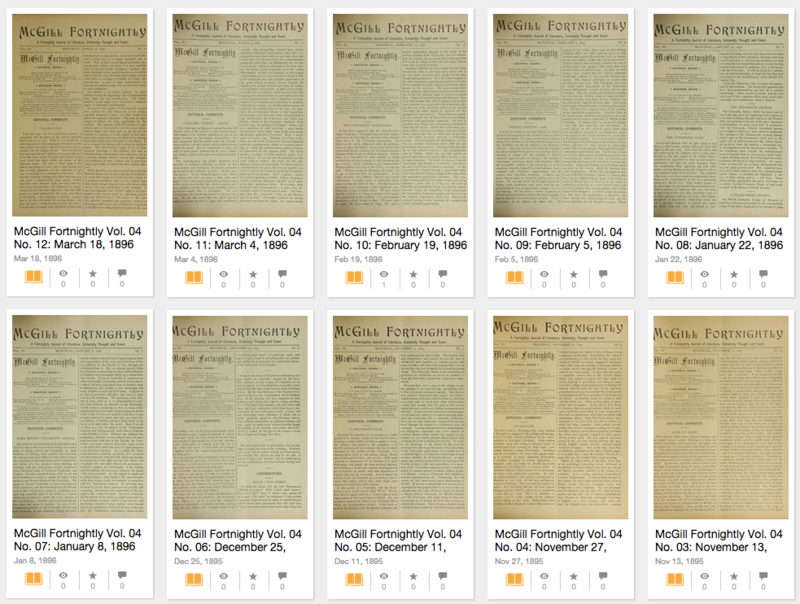 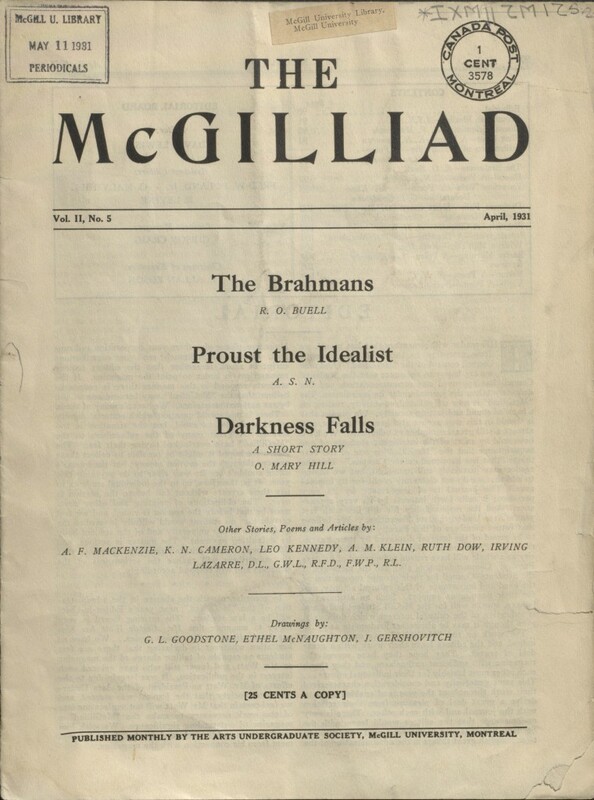 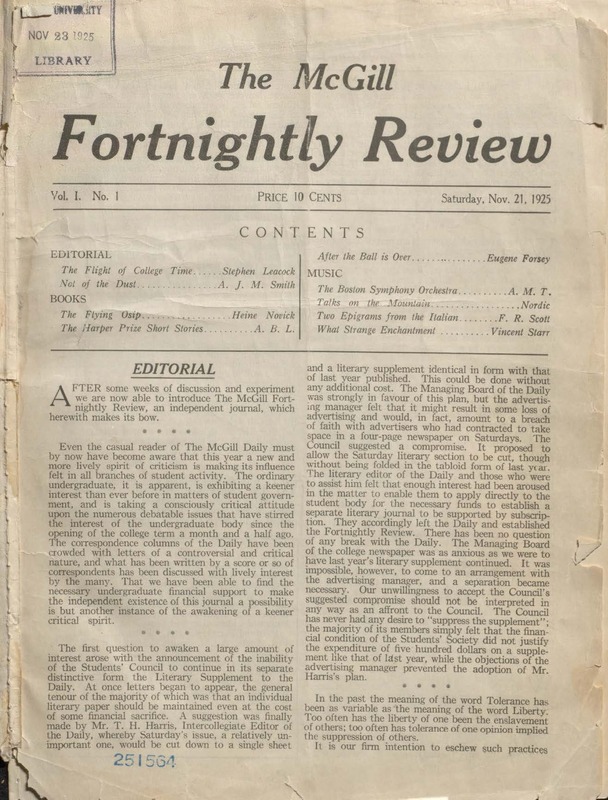 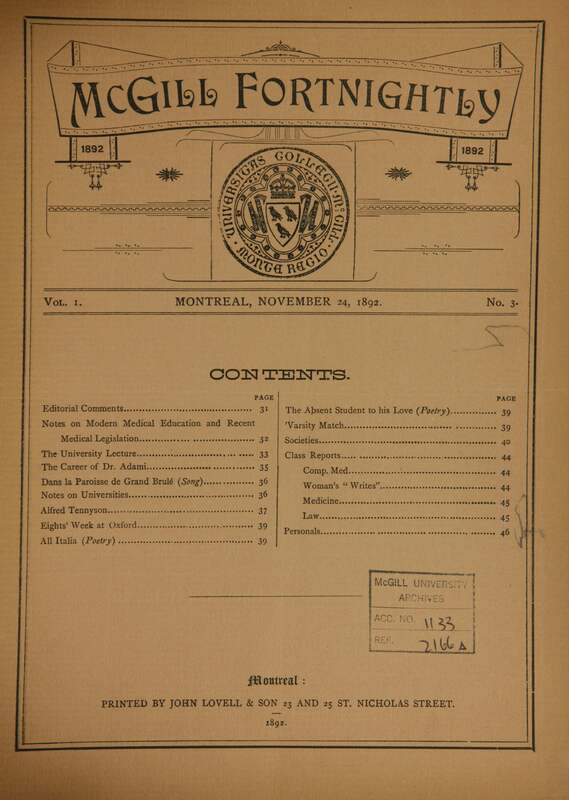 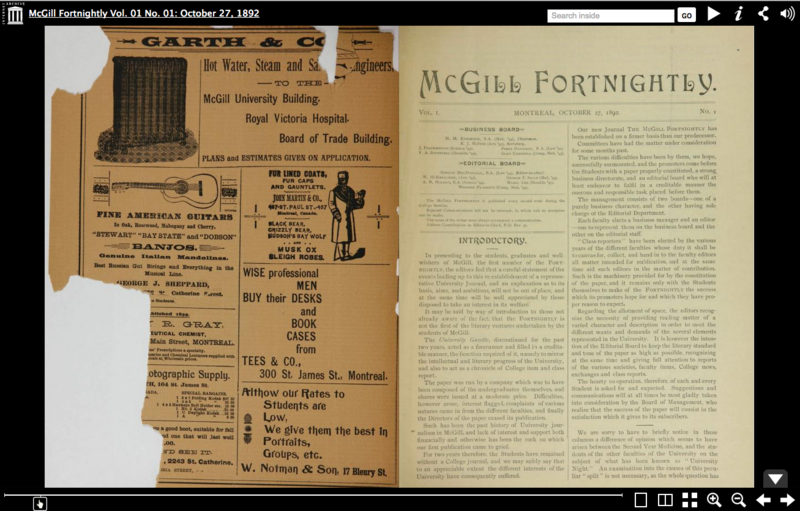 In addition to digitizing the McGilliad we have also recently put online the full run of 18 issues of the McGill Fortnightly review. 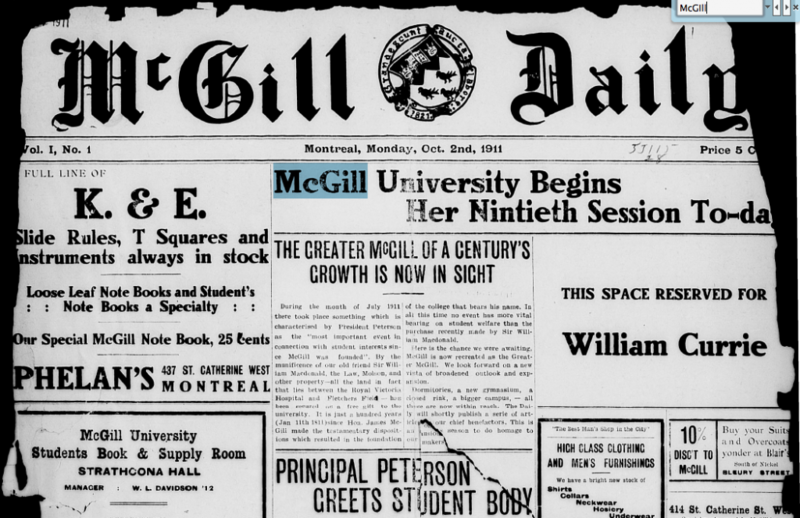 McGill Fortnightly review was founded by F.R. Scott and A.J.M. 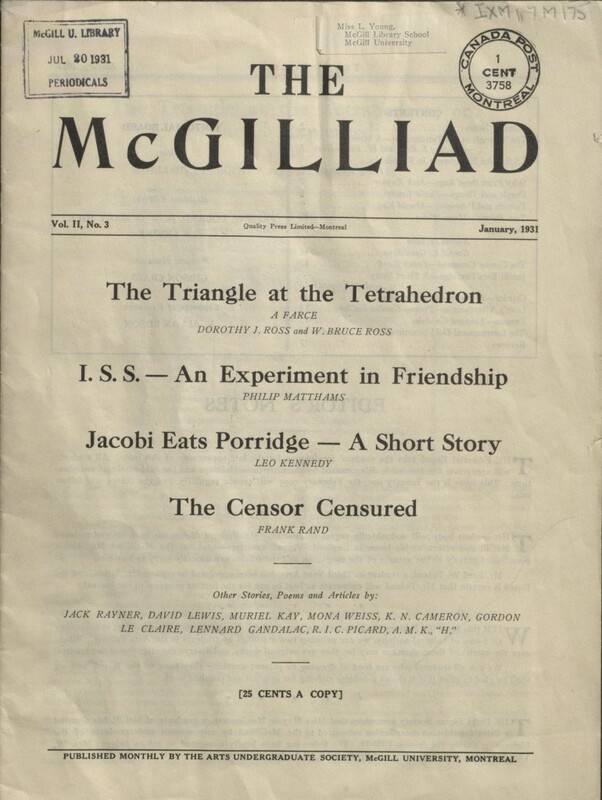 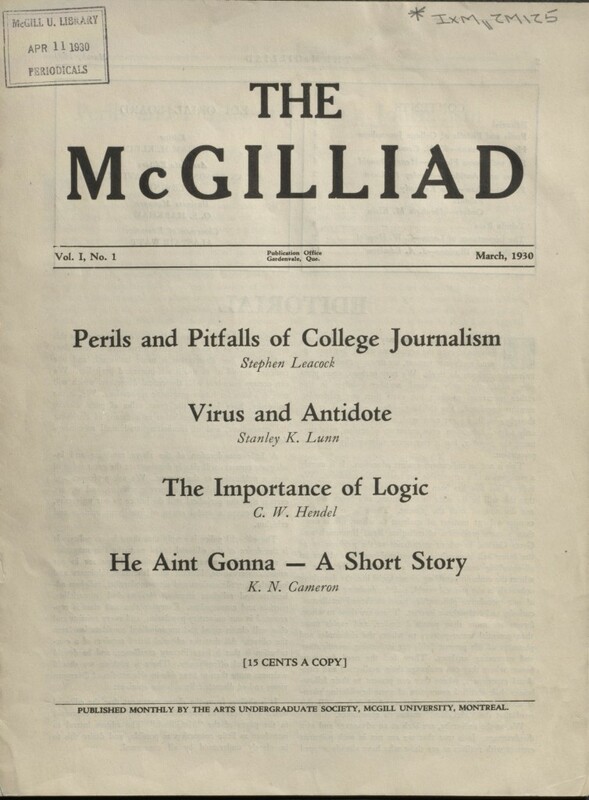 Smith as an independent undergraduate journal after it was announced that the Students’ Council couldn’t support the publishing of the McGill Daily Literary supplement which is detailed in the first issue editorial. 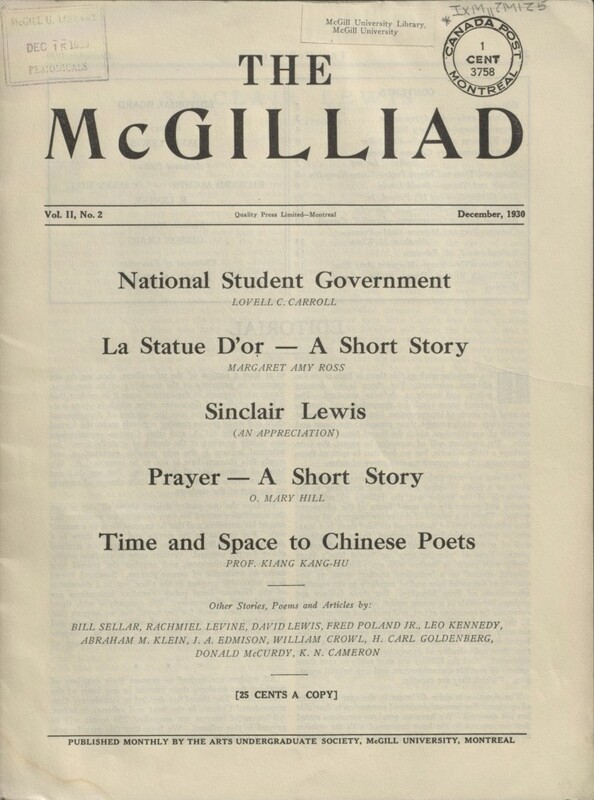 The student publication ran from 1925-1927 and featured modernist poetry and prose. 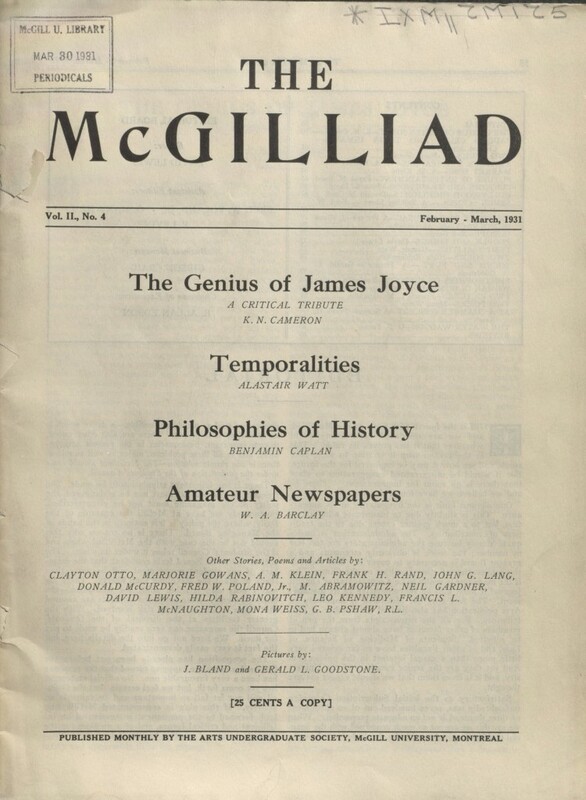 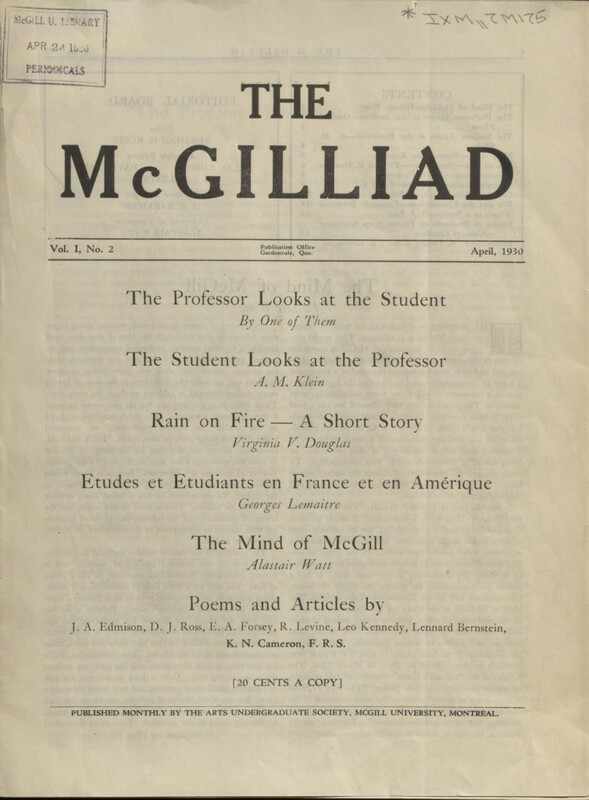 Read more about the McGill Fortnightly review in Ken Norris’ 1980 English thesis “The role of the little magazine in the development of modernism and post-modernism in Canadian poetry” which is available online in our institutional repository, eScholarship. 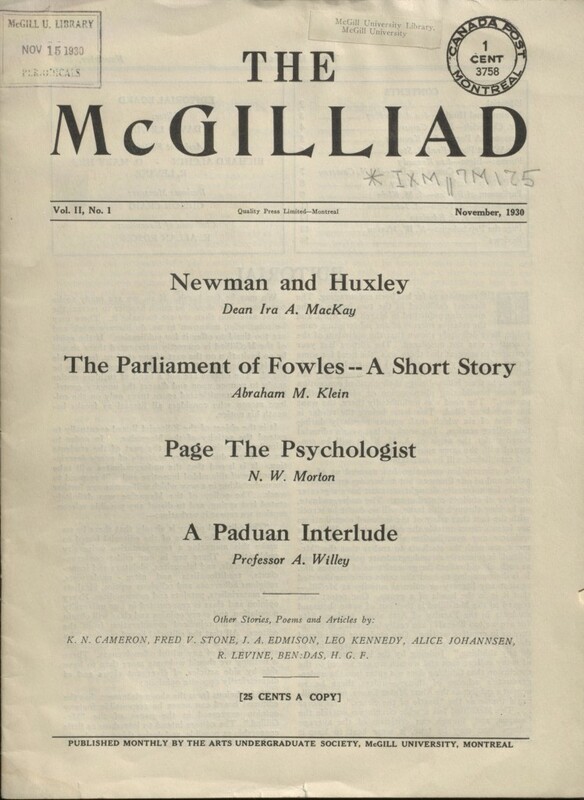 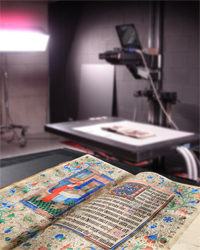 You can download all of the issues from our catalogue or you can see the original by visiting the Rare Book and Special Collections reading room during opening hours.